A Home Ministry panel has suggested that pellet guns should be replaced with PAVA shells that are believed to be a “less lethal” ammunition, reported PTI. The committee was set up to look into alternatives to the pellet guns that has caused irreversible damages to thousands of protestors in Kashmir during the protests that started after the killing of Hizbul Mujahideen leader Burhan Wani on July 8. The shells contain Pelargonic Acid Vanillyl Amide in them. The organic compound is found in chilli pepper. The ammunition derives its name from the compound, which is also called Nonivamide. According to the panel, the compound will cause severe irritation and paralyse the person it is fired at for a short period of time. It is also considered to be bio-safe. The panel reportedly tested the new ammunition earlier this week. The Indian Institute of Toxicology Research in Lucknow has been working on the shells over a year now. The committee has suggested that the government should “immediately” ask the Tear Smoke Unit of the Border Security Force in Gwalior to produce at least 50,000 rounds of the shells as the first lot. 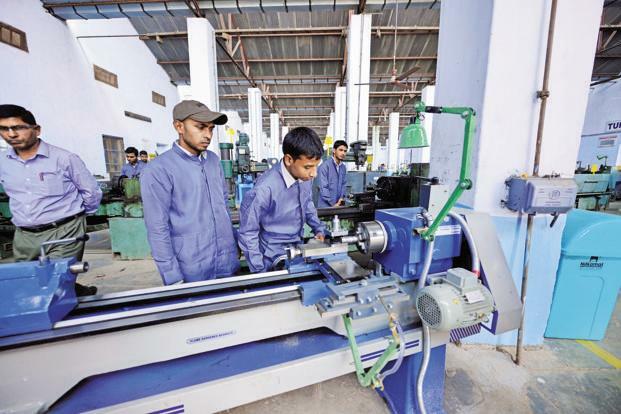 New Delhi: The Prime Minister’s Office has directed skills ministry officials to open within one year 7,000 new industrial training institutes (ITIs), or nearly half the number of all existing ITIs opened in India across six decades, two officials aware of the development said. The government’s objective is to double the capacity of India’s 13,105 ITIs, which now collectively train 1.86 million students in skills related to fabrication, electronics and automobile industries. Expanding the capacity of these institutes—set up to create foot soldiers especially for the manufacturing sector—is critical to boost domestic manufacturing and provide jobs for millions of youngsters joining India’s workforce every year. The first of the two officials, who termed it “a huge target,” said it was fixed at a meeting between officials from the Prime Minister’s Office and the ministry of skill development and entrepreneurship in the fourth week of December. “But the skills ministry has to achieve it as it has come from the top,” he said, requesting anonymity. Given the steep target, the skills ministry is exploring the possibility of offering soft loans to private players to open ITIs as the government cannot open 7,000 institutes on its own, the official added. Ministries will also persuade companies operating in their respective areas to adopt old ITIs or open new ones. The issue also came up at a skill conclave with industries in Mumbai on Tuesday. If the soft loan proposal takes final shape, the ministry may get higher funds in the Union budget. In the previous budget, the ministry got Rs.1,500 crore but for an individual scheme called Pradhan Mantri Kaushal Vikas Yojana. ITIs were earlier under the labour ministry and they have (since April 2015) been transferred to the skills ministry. Skill development minister Rajiv Pratap Rudy confirmed the development, but did not reveal more details. 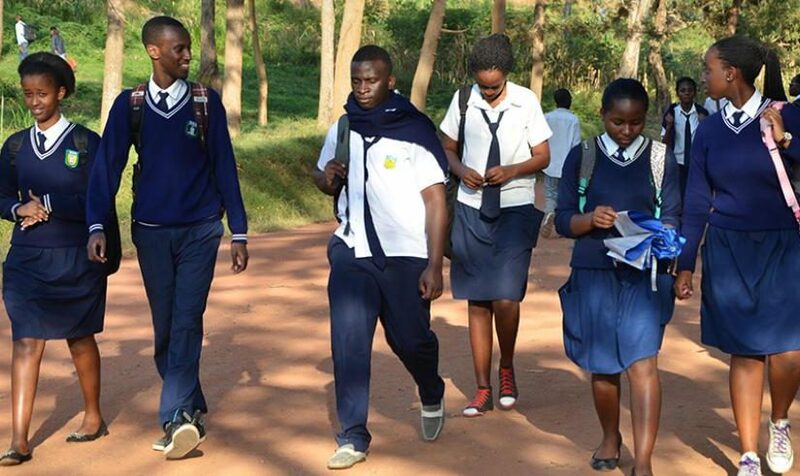 “We are ready to accelerate the pace in capacity-building. Looking at the skills mission, we have to do something different to achieve a huge target,” Rudy said. The government’s push for ITIs came out in two posts by the PMO’s Twitter handle on Tuesday, citing Modi. “Parents are proud if their child is a graduate but is it the same when a child went to an ITI? Such a mindset needs to change… They say 21st century is our century, but how do we make it India’s century? By giving an impetus to skill development,” the tweets read. A second official said opening even 1,150 institutes in 2015 was considered a big achievement by the ministry, voicing concerns on meeting the steep target. He too declined to be named. The official also said authorities were in touch with some private education providers under the All India Council for Technical Education (AICTE) for exploring the possibility of opening ITIs. He, however, agreed that the move is in conflict with the current mindset that skill development should be asset-light. According to data collated by the National Skill Development Agency (NSDA)—part of the skills ministry —21 departments and ministries trained 7.6 million people in 2014-15, as against a target of 10.5 million. In other words, central ministries and departments fulfilled 72% of their target in the last fiscal, almost identical to the figure notched by the previous government in 2012-13. The NSDA has been tabulating skill training outcomes for the last four years. In fact, in the last four years, central government ministries and departments together missed the skill development target thrice—in 2011-12, 2012-13 and 2014-15. This failure does not augur well for a country that aims to impart skills some 500 million people by 2022, the second government official cited above said. G. Raj Narayan, managing director of Radel Group, a Karnataka-based defence and aerospace ancillary firm said India’s small and medium enterprises are facing a job-ready manpower shortage and it needs government handholding both in terms of finance and skills. He said authorities need to fix the existing ITIs and their quality issues first before expanding numbers. “Capacity expansion is required, but the quality of a large number of existing institutions needs urgent attention,”said Narayan. New Delhi: The labour and employment ministry on Sunday took steps to relax labour-related compliance measures for start-ups, a week after Prime Minister Narendra Modi unveiled the Start-up India initiative. The ministry has decided to exempt start-ups from inspections related to key labour laws—including the Industrial Disputes Act, the Contract Labour Act, the Employees State Insurance Act, the Trade Union Act and the Employees Provident Fund and Miscellaneous Provisions Act—in a bid to dispel fear and encourage young entrepreneurs to start and grow businesses in India. In a letter to all autonomous institutions such as the Employees’ Provident Fund Organisation (EPFO), Employee’s State Insurance Corp. and the Labour Commission, the ministry has asked them to desist from any unwanted interference related to labour law compliance in the functioning of start-ups. “Promoting start-ups… would need special handholding and nurturing. Thus such start-ups, as defined by DIPP (department of industrial policy and promotion), may be allowed to self-certify compliance with the labour laws,” labour secretary Shankar Aggarwal said in the letter. Both Modi and finance minister Arun Jaitley last week assured start-ups that the government will help enable their growth. As per the labour ministry, start-ups will not be inspected in the first year of their establishment, and in the next two years, they will not be inspected until the central analysis and intelligence unit of the labour ministry verifies a written complaint and advocates any inspection. Till that time, the start-ups will have to self-certify their compliance of labour laws and each of the concerned bodies of the ministry will accept it. Following the labour ministry move, EPFO also wrote to all its field offices to take note of the development at the regional office level. “Start-Ups are allowed to submit self-certified returns under EPF and Miscellaneous Provisions Act 1952. From the second year onwards, up to three years from the setting up of the unit, such start-ups may be taken up for inspections only when very credible and verifiable complaints of violations is filed in writing and the approval has been obtained from central analysis and intelligence unit,” EPFO said in its internal circular. “It is therefore advised to regulate inspections in the Start-Ups, as suggested above, wherever, applicable,” said the circular, a copy of which has been reviewed by Mint. 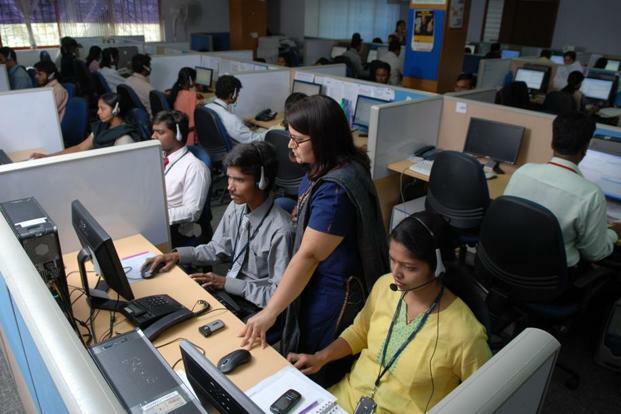 A labour ministry official said that from the prime minister on, all in the government believe that job creation is a key agenda and it has to live up to the expectations of young Indians. Nearly 60% of India’s 1.2 billion population is below the age of 35. The official said the ministry’s move will benefit all small and big start-ups in the country. “We have made a beginning for successful implementation of the Start-Up India initiative and going forward more relaxed norms may be unveiled for these companies so that they create more jobs,” the official said, requesting anonymity. Last week, Modi has said that “start-up doesn’t mean billion dollar company where thousands of people work. It is about employing even five people and developing India”. “We have to bring a psychological change in the mindset of young Indians—from job seekers to job creators,” Modi said during the launch of the Start-up India initiative. Himanshu Aggarwal, chief executive of Aspiring Minds, a job and skill mapping company, said start-ups are likely to create more than 100,000 jobs in 2016 and 225,000 jobs in 2018. “Start-ups will be the mainstay of job growth for the next five years. The Start-Up India initiative has the potential to propel this further,” Aggarwal said.